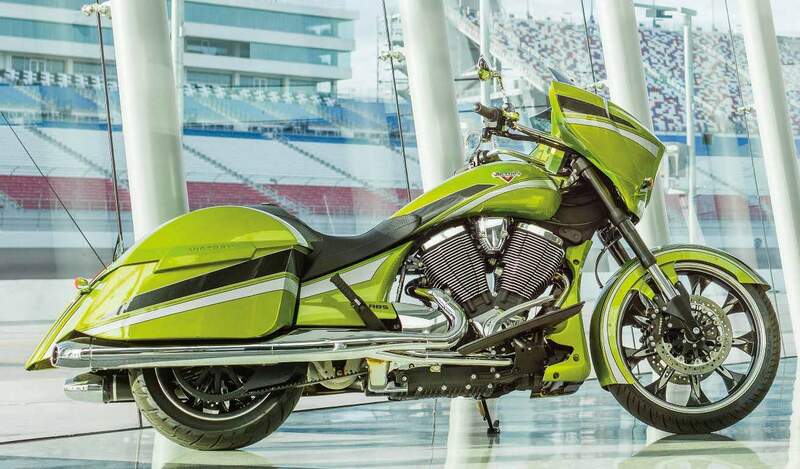 Building on the international success of the sector-leading Cross Country, Victory Motorcycles have indulged themselves with a mainstream production model like no manufacturer before, creating a factory-custom bagger for a new generation of riders. 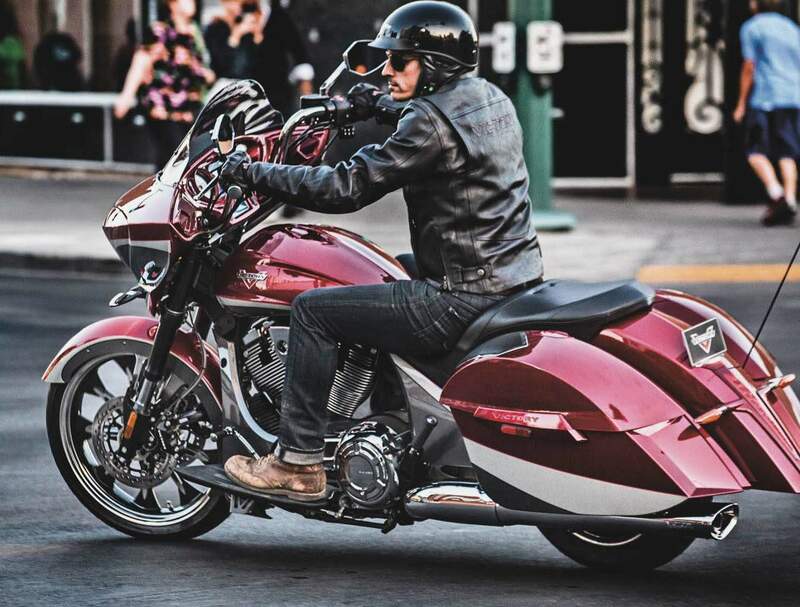 The new Magnum redefines the bagger class with its winning combination of fast handling chassis geometry, the lowest seat height in its class, uncompromised cornering clearance, and continent-crossing comfort as standard. Its tall but muscular 21-inch front wheel, buried deep within a stylised front fender, reinforces the Magnum’s slammed stance and the new LED headlight system, shrouded in the already-iconic Cobra-Hood fairing is just about the only thing that is capable of eclipsing the high status detailing of the new King of the Street. 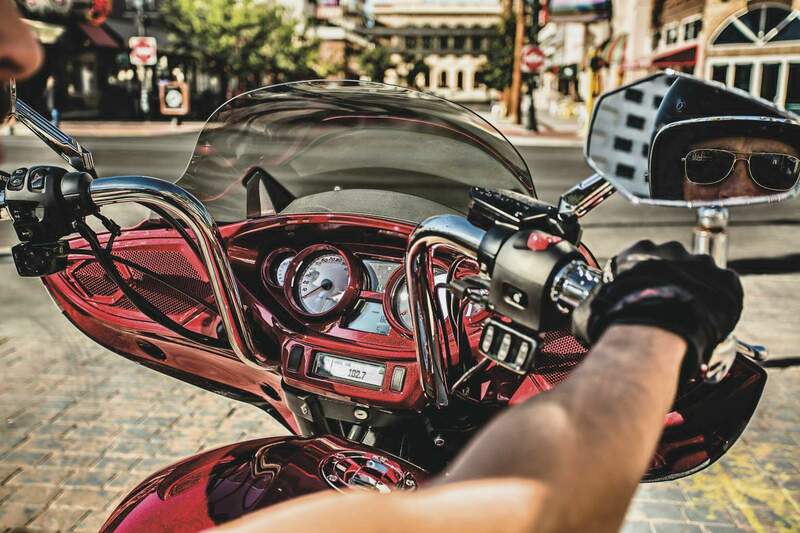 Powered by Victory Motorcycles thundering 106ci (1731cc) Freedom® Motor, the new Magnum offers riders mountains of torque and easily accessible power across the rev range, delivered through a slick six speed overdrive transmission. Finished in one of four radical eye-popping graphic schemes with 100W of music blasting out from the most powerful in-dash audio system that Victory Motorcycles has ever fitted to a motorcycle, the Magnum is guaranteed to make an entrance!